This week we have another awesome challenge in store for you at Lasting Memories!! We are gonna trash those layouts!!! Nope, I don't mean throw them out!!! This week we are asking you to look around and use something you may otherwise consider trash. Get creative with this one.......maybe you use junk mail or wrapping paper or even product packaging. Once you start really looking at things around you , you will begin to see everything in a new light trust me! I know I drive my family nuts saving everything........product packaging, pringles cans.......lol. You name it I try to use it in some fashion! So this week we want you to try you hand at it!!! This week is another sponsored week so we have a GREAT giveaway to go along with this challenge from our very own Elizabeth!! She has a wonderful ETSY shop so please check her out!!!! Look what she is generously offering one of our challenge entrants!! WOW!!!! 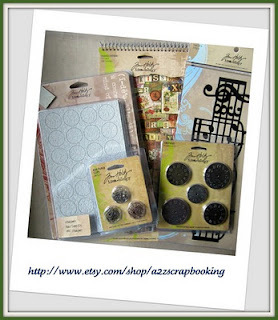 Who doesn't love some Tim Holtz goodies!!! 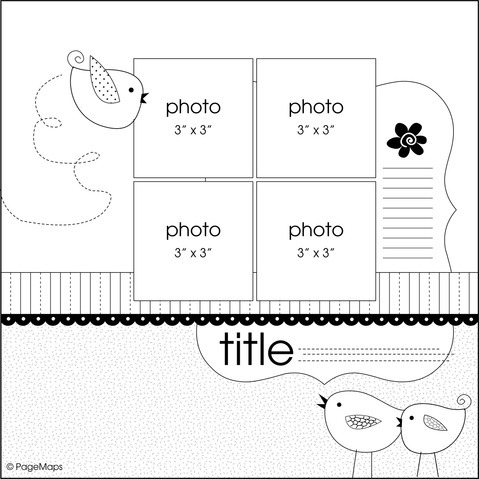 For your sketchy inspiration, if you should choose to use it, we have an adorable sketch from Pagemaps.......I just LOVE this one!!! 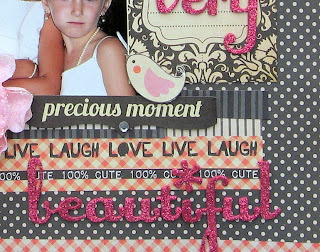 For my layout I decided to get all girly again.....I'm actually having a lot of fun scrapping girl layouts!! This is a photo of 2 of my cousins........aren't they just beautiful????? Can you spot my trash??? 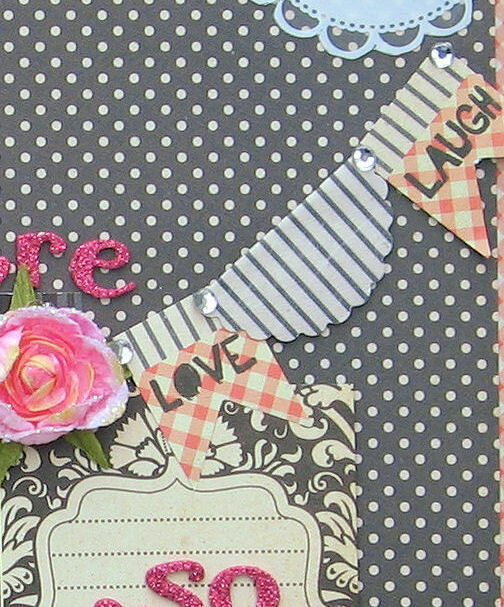 The lettering is Thickers from Dear Lizzie. 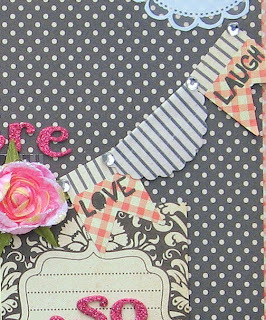 And I used an entire pack of Prima flowers :) I love the pink and brown together and the gingham and the dots work really well with each other too! So.....have you figured out what trashy element I used yet???? The prima packaging!!!! I fussy cut the doily pattern out of the plastic backing the flowers were adhered to. NEVER overlook the packaging as an option for embellies....some is so pretty it just begs to be used and even the ones that aren't beautiful can be used as a photo mat or made into tags when covered with pretty scraps. They also make awesome bases for mini albums!!!! Please join in and play along this week! As always you have til Saturday night to link em up!! Just a reminder - in order to qualify for our challenge/giveaway, you MUST follow our challenge!! You're welcome to incorporate the sketch WITH the challenge or if you'd like to just use the sketch, please do and leave us a comment so we can come and see what you did with it!!! What a great page. i love the grey and the pink. Your cousin's look like princesses. 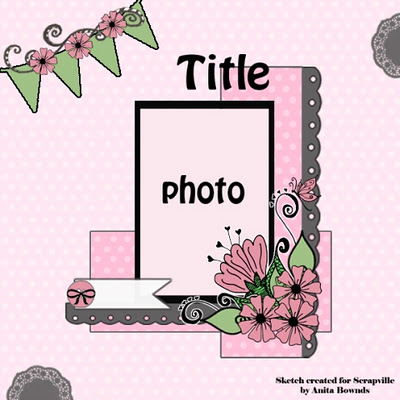 Thanks for posting on Come and Get It Challenge blog this week. Beautiful papers and great color combo. Love the bling and flowers added to this. Beautiful layout! 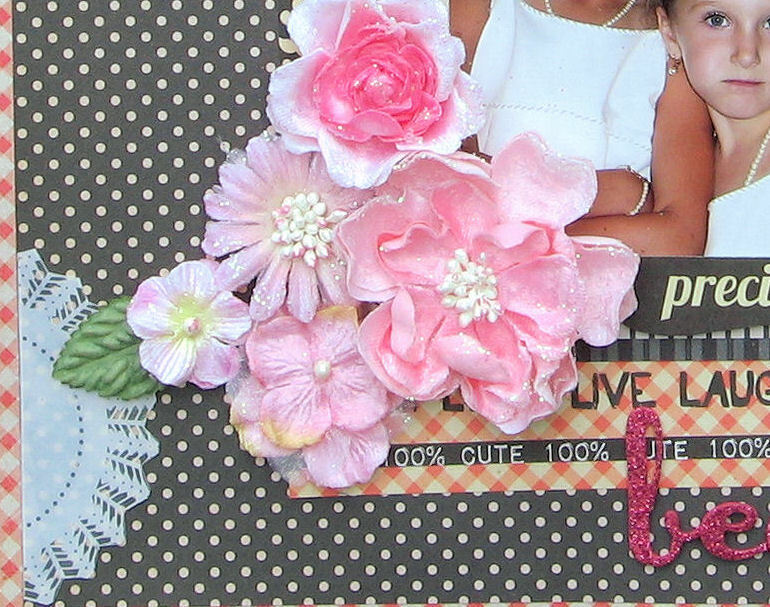 Love all the layers and the-whole-pack of flowers! What gorgeous princesses your cousins are! Love the pink and gray. What cute girls and your layout is gorgeous. Love all the flowers and the little banner. Also that you used the packaging. Great idea! 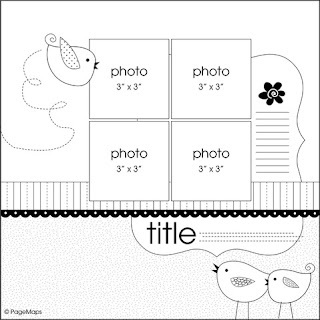 Scrapbooking can be inexpensive and this came out so gorgeous! It's us that make it expensive! This is way toooo pretty!! I love the colors, patterns, and embellies! Great Page, and thanks for the inspiration. will have to take the sketch and try and use it soon. Thanks for playing at Come and Get It.